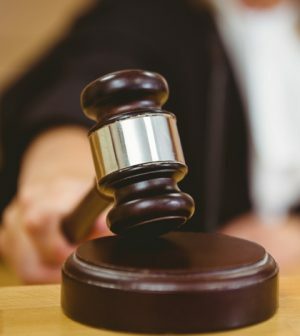 San Diego Superior Court Judge Joan M. Lewis recently ruled to uphold a $595,367 fine by the San Diego Regional Water Quality Control Board in a lawsuit against housing developer San Altos-Lemon Grove, LLC. The developer had sought to have the fine overturned in spite of numerous water quality violations during the construction of Valencia Hills, a 73 single family home project in the city of Lemon Grove, east of downtown San Diego. In August 2016, the San Diego Water Board ruled that San Altos-Lemon Grove, LLC had committed 81 violations of the Statewide General Construction Storm Water Permit between December 2014 and September 2015. The violations focused on the site’s persistent lack of effective erosion and sediment controls, and subpar housekeeping practices that resulted in six sediment discharges from the Valencia Hills construction site into Encanto Channel. The Encanto Channel flows into Chollas Creek and ultimately into San Diego Bay. Sediment from construction activities can pose a large threat to local waters because so much exposed dirt can wash off during storm events. Excess sediment can alter or obstruct water flows, resulting in flooding and can damage local ecosystems. Sediment can also act as a binder, carrying toxic constituents, such as metals, pesticides, and other synthetic organic chemicals with it, to our rivers, bays and ocean. Additionally, abnormally high levels of sediment in the water can smother aquatic animals and habitats. It can reduce the clarity of water, which harms the ability of organisms to breath, find food and refuge, and reproduce. The Court supported the Water Board’s position that violations against the developer were appropriate for days between inspections, especially when the inspections were only a few days apart, and agreed with the Board’s interpretation of the water permit’s requirement to cover and berm stockpiles when they are not actively being used, “consistent with the intent and the purpose of the Permit to prevent sediment from leaving the site.” The court also noted that the San Diego Water Board properly followed the law in adopting the penalty, and that the violations and penalty were supported by substantial evidence and a detailed enforcement order.